The project by the Multinational Engineering Company Obrascón Huarte Lain (OHL) to build a waste treatment plant at La Lo Timor Farm, halfway between the municipal districts of San Miguel de Salinas and Torrevieja, is gathering opposition from an increasing number of companies and organisations, the latest of which is the Torrevieja Saltworks based in the Salt Flats. They say that they have great concern with the proposal by the Consortium of the Zonal Plan of the Vega Baja to establish the operation on rustic land, just a few hundred metres northwest of the salt lake shoreline. 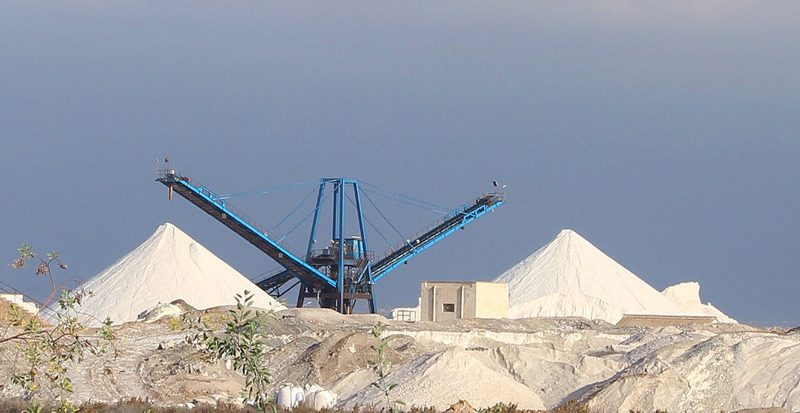 The firm, which belongs to the Salins Group, believes that the operation of the waste plant could seriously jeopardise production from the salt pans, the most important source of European sea salt – from which they extract 700,000 tons of salt per year. Salinera sources indicate that the annual transport of 120,000 tons of solid urban waste involves a very high risk of leaking contaminated water into the lagoon through the subsoil, from the lake shore itself, and through the La Fayona ravine. OHL plans to establish a treatment plant where the facility would receive trucks loaded with all types of rubbish, and where materials would be separated for recycling or reused to produce energy. The rest of the waste, known as rejection, would go to a landfill. The fear of the saltworks is that during any period of torrential rain, which regularly occur in the area, much of the solid residue would leak throught the subsoil to the shores of the Torrevieja lagoon and along the ravine of La Fayona, just few hundred metres away. Any significant influence could contaminate the salt layer that forms in the salt flats, through the brines. The proposed farm site is located just 900 metres from the shore of the Torrevieja lagoon and 600 from the boundary of the natural park itself. It is also bordered by a number of other protected sites such as the Special Protection Area for Birds (SPA) and the Site of Community Importance (SCI). If the project does go ahead, it must satisfy all of the environmental requirements of the Generalitat itself, which is part, together with the Diputación and the 27 municipalities, of the Consortium that manages the Vega Baja waste. The company has said that it will study the urban compatibility report produced by the Environmental Councillor of San Miguel, although it states that the access of any trucks would be via a road that runs, for the most part, under the authority of Torrevieja and Los Montesinos. OHL says ​​the investment that it would provide to build the plant would be in excess of 40 million euros and it would also bring many jobs into the area.